Make your special occasion elegant and memorable with the classic style of our Cinderella carriage rentals, yes we have more than one! Great for corporate and school events, fulfill the vision you have been creating for years of the perfectly special event. Our most classic of carriages with a nostalgic design. Our Vis a Vis carriage is the most elegant of carriages and gives you the option of a open carriage or having the top on. The Vis a Vis is a perfect compliment to any special event. 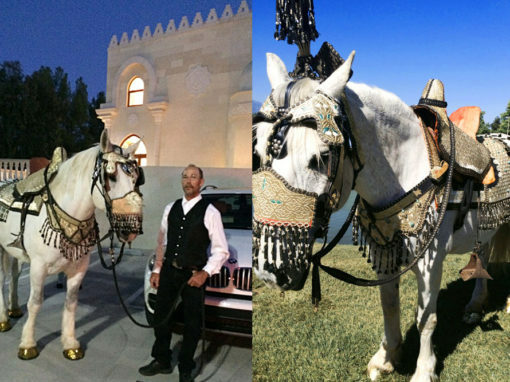 Our horse carriage rental service is a great way to celebrate your wedding or any special event. 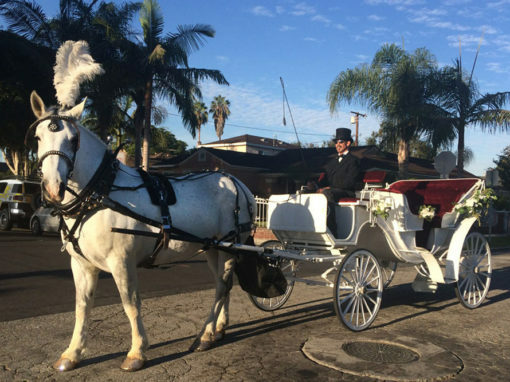 We offer elegant horse carriage rides in and around the entire Southern California Area and travel to your destination for your convenience. 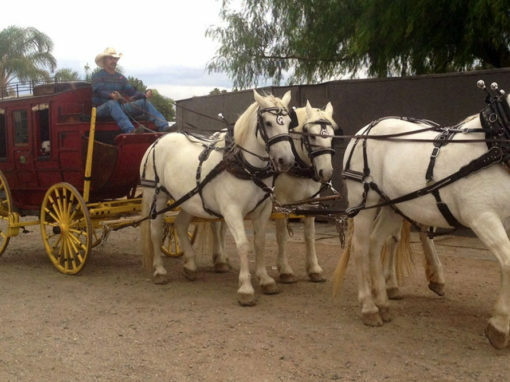 All our carriages are pulled by professionally trained and well taken care of horses. We are a family owned and operated business with over 40 years experience in training horses for riding and driving. Our horse carriage rides will provide you with the utmost memorable experience providing memories that will last a life time. All our horses are given the absolute best care, knowing that without them, our company would not exist. 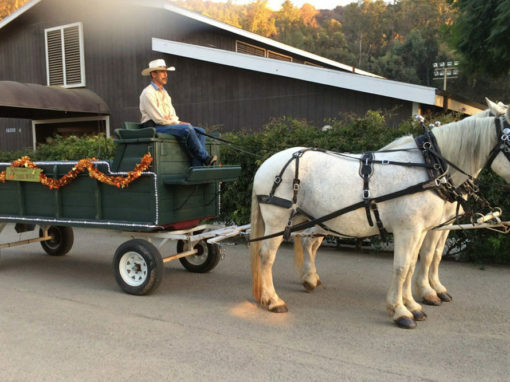 Our experienced horse and carriage drivers will take care of you as you sit back and enjoy all the views that California has to offer.